The QAT is the #1 customization and way to speed up design work. Recently, I was using another designer’s computer and discovered an amazing button for the QAT, and it is unbelievable that it was not one of the first items I added when first customizing it! 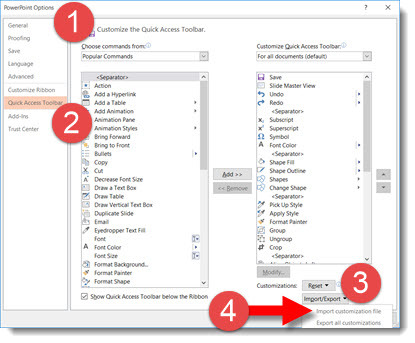 This button opens the Custom Animation Pane. I predict that this button will save me 10 hours of design time in 2016! The animation pane is something I access continuously, and going to the Animations tab and then the Animation Button takes a lot of mouse movement and, ultimately, time. Now, if I need to review the animation on a slide (not necessarily add animation, just see what is on a slide and adjust timing in the Animation Pane), I click this button no matter what tab I am on and the animation information needed is there. The cadence for updates at Microsoft is definitely much faster – today Office 2016 (for Windows, not to be confused with Office 2016 for Mac which was released earlier this year) is available. To be honest – not much, at least from a design and feature perspective. So far to me, this release is about adding new back-end features and functionality. 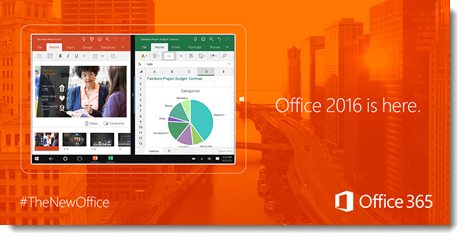 Check out this list from the Microsoft site that highlights the big Office initiatives, here. With the move to Windows 10, I have been concerned with what would, and would not, work in PowerPoint. Being that both Windows and Office are Microsoft products, I expected few issues, and my assumption has been correct. Microsoft recently posted a list of all known issues between Windows 10 and Office which you can read here. Windows 10 has a lot of good stuff going for it, from stability to media playback – all topics for future posts. After months of testing (poking, prodding, and looking at virtually any feature I find), I have moved a few key computers to Windows 10 – including my personal design computer. The Start Menu, while different than Windows XP (and the Classic Shell version of Windows XP I run on all Windows 8.1 computers), has everything there and can be laid out in the logical and usable way. 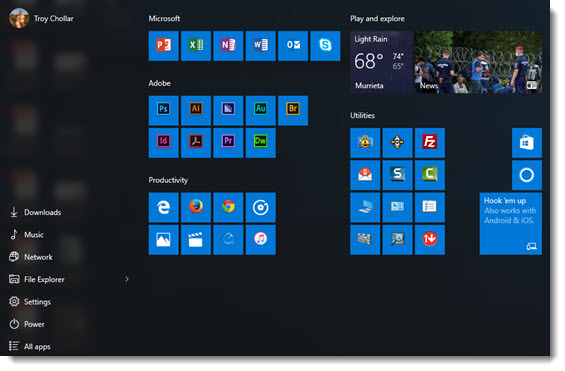 I am sure this will evolve more, but here is my current Windows 10 Start Menu layout.